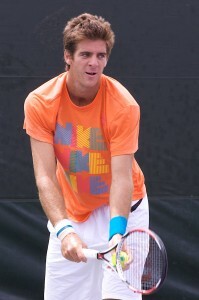 Juan Martin Del Potro is scheduled to play in the 2011 International Tennis Championships in Delray Beach, Florida. 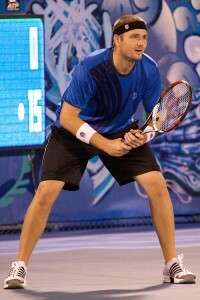 Del Potro joins the singles draw that includes Andy Roddick, Mardy Fish, and John Isner at the ATP World Tour event to be held February 18 – 27, 2011. DELRAY BEACH, FL (www.YellowTennisBall.com) – 2009 US Open champion Juan Martin Del Potro has announced he will play in the 2011 Delray Beach International Tennis Championships (ITC), joining an ATP World Tour event singles draw that includes Americans Andy Roddick, Mardy Fish and John Isner. 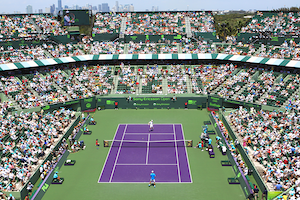 The 19th annual event takes place February 18 – 27 at the Delray Beach Stadium & Tennis Center. The ATP World Tour stars will be chasing not only the ITC title and its $75,000 winner’s check, but also a 2011 Porsche 911 Carrera. Headlining the second-year ATP Champions Tour event are John McEnroe and Mark Philippoussis, who are providing the star power for the eight-player tournament that features former world-ranked No. 1 players, Grand Slam champions and finalists and Davis Cup winners. McEnroe is returning to Delray Beach after reaching last year’s final while Philippoussis is making his first appearance. Individual session tickets for the 18-session, 10-day ITC go on sale Wednesday, December 1. Del Potro’s ranking skyrocketed to No. 5 in the world in 2009 following a US Open run that included wins over Rafael Nadal in the semifinals and Roger Federer in the final. The 22-year-old Argentine’s magical year also saw him reach the Australian Open quarterfinal, the French Open semifinal and finals at the Masters Series Montreal and year-end Barclay’s ATP World Tour Championships. Del Potro was limited to six matches in 2010 after undergoing season-ending wrist surgery. With the 2011 ITC singles champion receiving a Porsche as part of the winner’s compensation, the Delray Beach ITC becomes the first 250 Series ATP World Tour event in the world to offer a luxury automobile to its champion. Porsche, and local dealer Champion Porsche, are in the second year of a five-year contract as the official automobile of the Delray Beach ITC. Fans looking for holidays gifts or stocking stuffers will find Delray Beach ITC tickets the perfect solution, and the tournament’s first-ever holiday discount will be in place when 2011 individual session tickets go on sale Wednesday. All tickets purchased at the box office for ATP World Tour sessions earn a discount (20% reserved seats, 10% box seats) for any ATP Champions Tour session, and visa versa. Tickets range in price from $15 for grandstand seats to $85 for box seats. The promotion ends December 31. 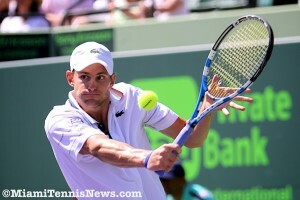 Please go to www.YellowTennisBall.com or call the ticket office at 561-330-6000 for futher information. With the qualification rounds completed, the main draw for the the International Tennis Championships (ITC) in Delray Beach has been finalized. Making their way into the main draw after three qualifying rounds are Canadian Frank Dancevic, Russian Evgeny Korolev, and Americans Ryan Sweeting and Taylor Dent. 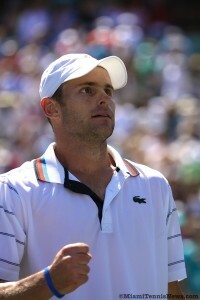 Dent, a wild card entry, pulled off a mini-upset by knocking out five time ITC finalist and winner in 2005 and 2007 Xavier Malisse in the second round of qualifications. Topping the draw are Americans Marty Fish and Sam Querrey, seeded one and two respectively. Querrey, last year’s semifinalist, was added as a wild card entry. Also accepting a wild card into the main draw is the 1999 ITC winner and two time major champion Lleyton Hewitt. For a complete listing of the 2009 Delray Beach ITC main draw click here to visit the tournament’s official web page.